In the far distant past of 2015, developer Madruga Works released a game called Planetbase. A simulation city building game, you land a group of stellar settlers on planets of varying difficulties, working to build a survivable colony as you slowly progress in technology and allowing for more resource gathering to stabilize your outpost, which in turn allows more settlers to move in. It was a simple enough gameplay loop, and for a period of time was a game I’d boot up because I found it to be quite meditative. 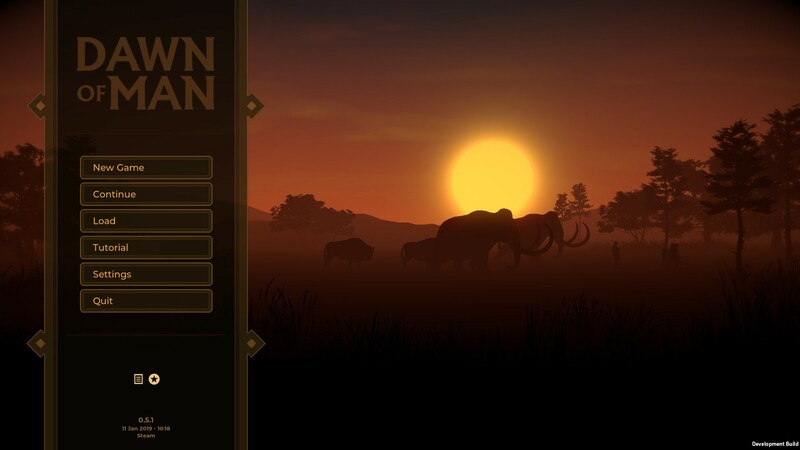 Their new, upcoming game, Dawn of Man, follows the formula established and refined over the course of Planetbase’s life, but now the setting is prehistoric man. 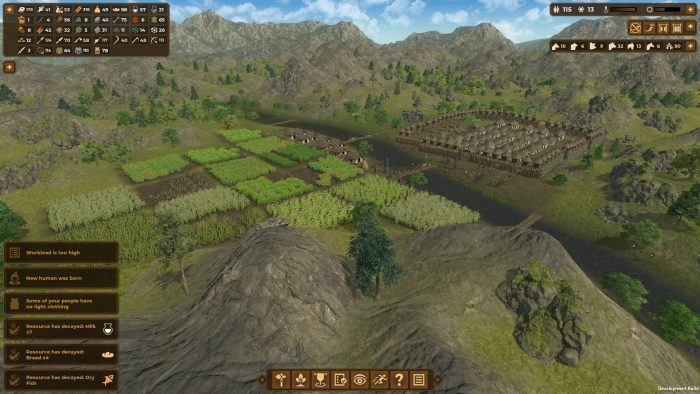 The basic loop is the same: hunt for food and build more housing to allow more people to live in your settlement, so you can hunt more food and build more housing, all while slowly researching technology upgrades like farming, animal domestication, and the wheel. It isn’t a direct one-to-one map of Planetbase, but it’s similar enough that anyone who has played one game should be able to get the hang of the other with relative ease. More surprising to me, is that with the setting changed to Earth as opposed to being on a foreign planet, things like breathable oxygen and power generation are not ever present issues. Food can still run out, and the elements can still kill off your people, but all in all it’s a much more peaceful experience. Look at my farm. My farm is amazing. 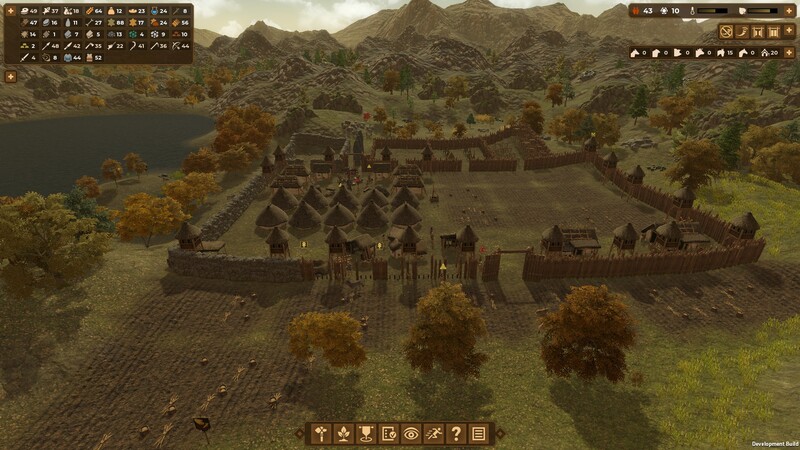 Eventually, as you reach a point in time where you begin metalworking, your settlement will be periodically attacked by raiders, presenting the biggest threat to victory. 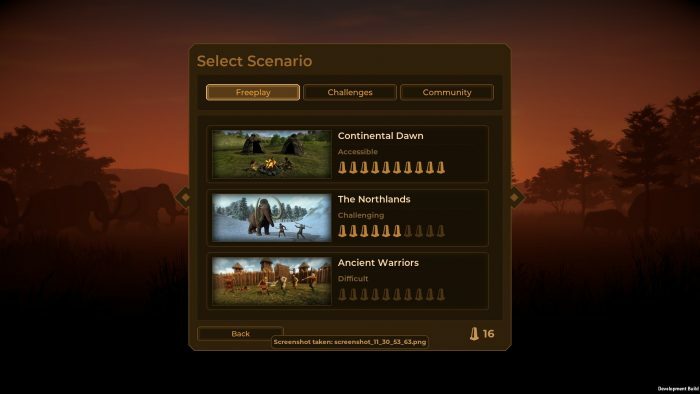 But with a handful of customizable sidebar menus you can readily click a button and have your settlers all automatically gather and arm themselves to defend as a group. Building walls and defensive towers will have your settlers automatically grab any ranged weaponry available to better shoot down raiders before they can murder your people and animals. Currently, Dawn of Man includes two climates to play with a handful of locations to settle down in, each presenting interesting difficulties with regards to the basic mechanics. It also has a few challenge maps with more focused goals. But given Madruga Works’ history of support for Planetbase, I expect Dawn of Man to end up with a sizable amount of content over the months beyond release. We’ll see as we get closer to the eventual launch. Modes on modes on modes. Dawn of Man is scheduled to be released on March 1, 2019. This preview was based on a code provided by Madruga Works.